Upper level suite with incredible private views! 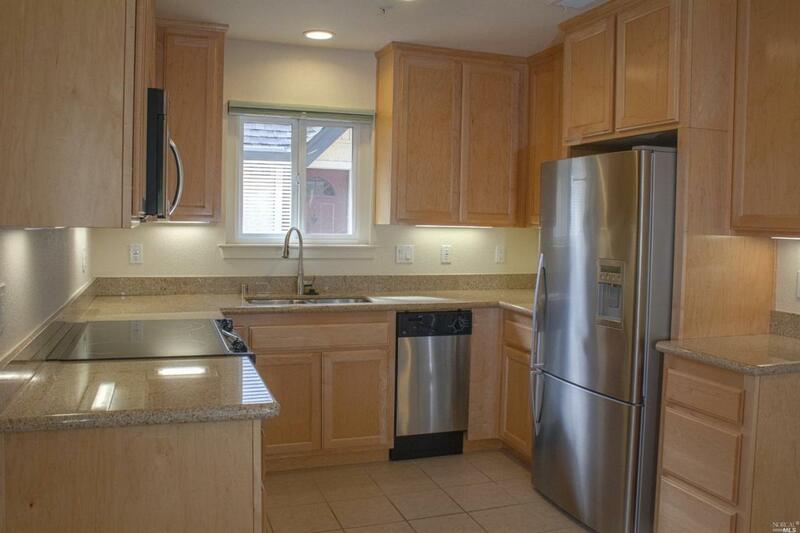 New carpet and paint- granite counters, stainless appliances, and central heat & air. Centrally located within a short walk to downtown Healdsburg's amenities. This condo is turnkey and ready to go! The complex features incredible landscaping, a heated pool, and a club room. Kitchen Cntr Stone Slab Dishwasher Incl. Electric Range Incl. Hood Over Range Microwave Incl. Refrigerator Incl. Listing courtesy of Chase Conley of Dayton & Tremont Real Estate. © 2019 Bay Area Real Estate Information Services, Inc. All Rights Reserved. IDX information is provided exclusively for consumers' personal, non-commercial use and may not be used for any purpose other than to identify prospective properties consumers may be interested in purchasing. Information is deemed reliable but is not guaranteed accurate by the MLS or Lisa Perotti | Zephyr Real Estate. Data last updated: 2019-04-20T23:55:58.953. Attached Detached Home Attached Construction Type Wood Frame Exterior Stucco Garage Parking Carports1 Space Location Of Unit Close To ClubhouseEnd UnitUnit Above Lot Description Level Off Street Spaces 2 Other Structures None Pool Yes Pool Type In GroundSolar Heat Spa Hot Tub YN No Style Traditional Yard Grounds Landscaped- Misc.